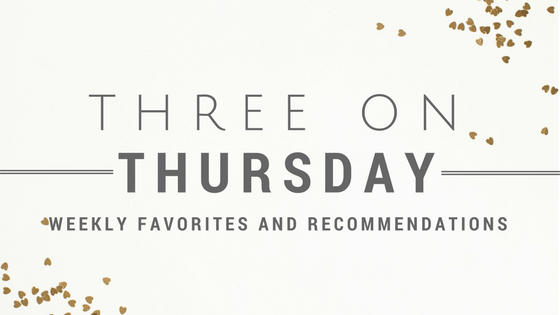 This 'add it to your list' link up is actually on the last Tuesday of each month, not the last Monday. But tomorrow is Halloween and I wanted to share with you what our decor looks like instead. 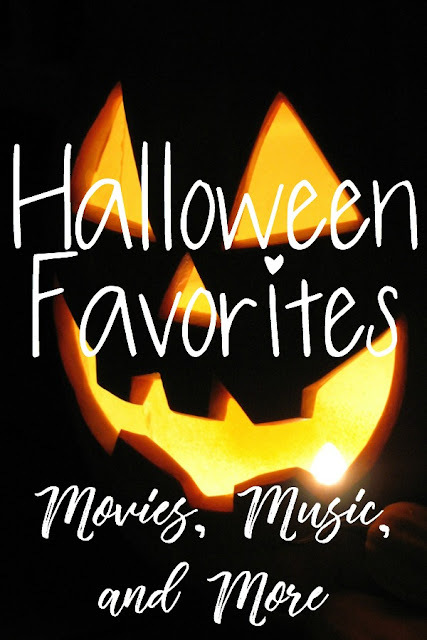 So today, I share with you my favorite 'add it to your list' Halloween movies and music. And a couple other things, so you can be ready for tomorrow. Hocus Pocus. I've actually heard other bloggers (that I'm friends with, I know, I can't believe it either) say that they don't really like Hocus Pocus very much. These people are wrong. It's the best Halloween movie and I watch it multiple times, every year. Which works out well because it's on a marathon today on Freeform, starting at 11 central time. Just Hocus Pocus, over and over. Might I suggest the drinking game? All Things Harry Potter. The first movie especially is so very Halloween-y, but the rest work for me too. I mean, they work for me for Christmas and Memorial Day too, let's not dwell. The point is, if you don't own them all you should, and you should marathon as many as possible. The Addams Family and Addams Family Values. One of these I actually saw in theaters with my dad. He hates movie theaters and crowds so I always vividly remember which ones he took me to see (Lion King is another.) I love both of these, though I think I prefer the second, believe it or not. Because there's more Wednesday moments, and she's my favorite. Casper. Because more Christina Ricci, plus Devon Sawa. You can't lose. The Craft. Robin Tunney was in Empire Records and that was literally all you had to tell me to get me to watch it originally. And in this movie she's a witch and moves to a new school and befriends a group of also witches. Totally plausible. Regardless, I still love to watch it every year. I Put a Spell on You by Bette Midler. This is Halloween from Nightmare Before Christmas. Somebody's Watching Me by Rockwell. And everything on this playlist, just let it run while you hand out candy to trick or treaters. Themed Dinner. You have to eat dinner tonight anyway, why not make it themed with jack-o'-lantern stuffed peppers? It's just stuffed orange bell peppers but you carve a cute little face into the side first so it looks like a carved pumpkin. Get in the spirit! Halloween Wines. I feel like this is what adults do when you're too old to trick or treat.